Are you excited about the upcoming Star Wars movie? We sure are! 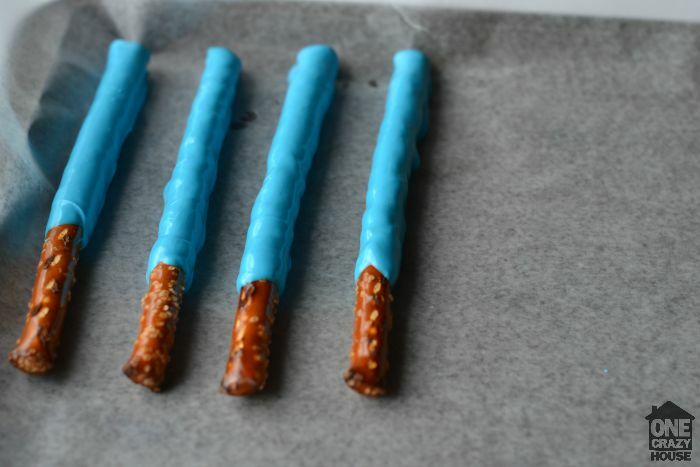 Before the new release is out, we plan to watch all the previous movies again, and these lightsaber pretzels are the perfect movie night treat for you and your family. 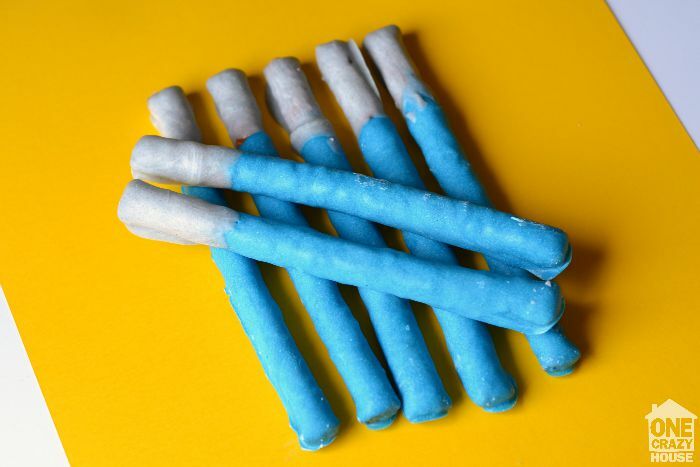 They’re so easy to make, and your little Jedi will love them! A quick note: If you can find gray or silver candy melts, by all means, use those instead of the white candy with food coloring. You may need more or less of one color to create the shade of gray you want, but be careful when adding food coloring to melted chocolate. 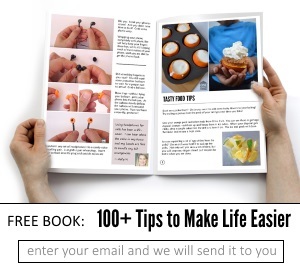 It can cause it to clump up if you add too much, so adding it before it is melted is really best. 1. Place wax paper on a cookie sheet to prevent pretzels from sticking. 2. Melt the blue candy melts in a microwave safe bowl 30 seconds at a time until completely melted, or according to the package instructions. 3. 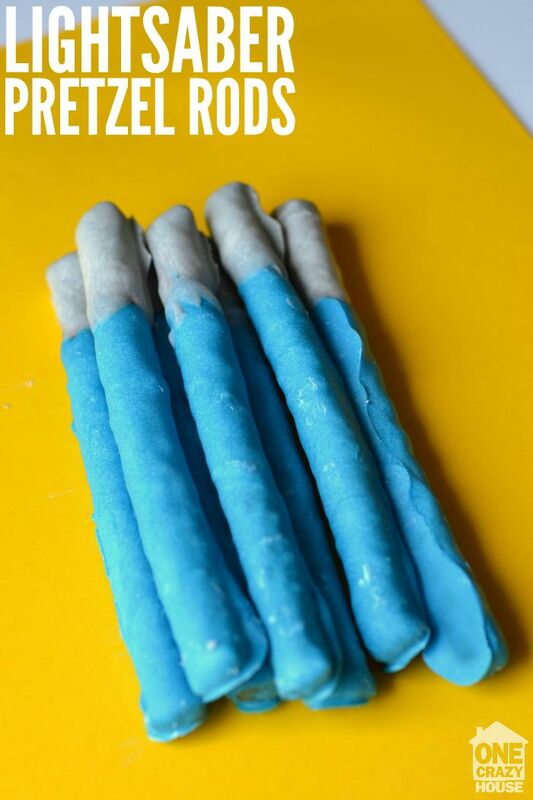 Dip pretzel rods into blue candy; use a spoon or butter knife to spread along the length of the pretzel, leaving 1-2 inches at the end. 4. 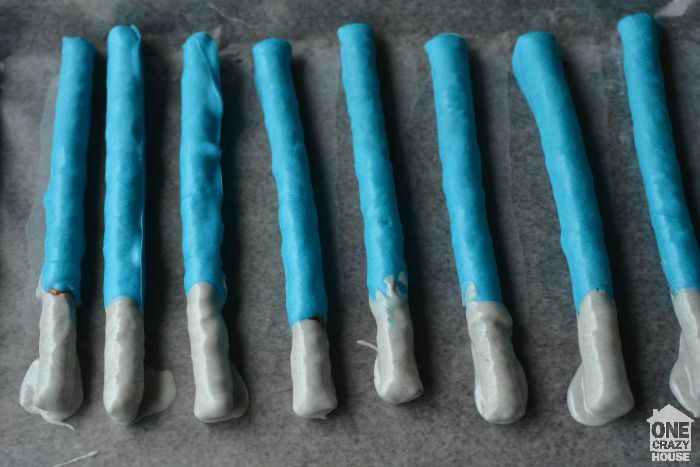 Repeat with all pretzel rods, and give them 30-60 minutes to dry completely before proceeding. You can stop at this step if you’d like. They’re fine lightsabers as is, but we’re going to add silver handles. 5. Open the package of Almond Bark. BEFORE you melt it, add the following combination of food coloring: 8 drops blue, 6 drops red, 3 drops yellow. Melt in microwave according to package directions. Stir to mix colors. 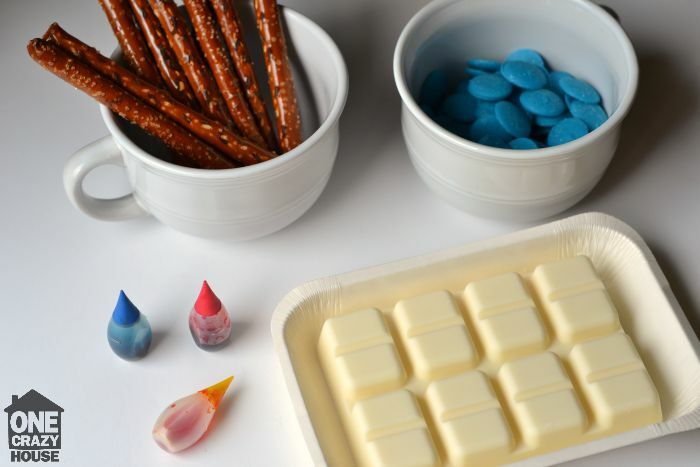 You should have a silver or gray color after the food coloring and candy are thoroughly mixed. 6. Dip the uncovered portion of the pretzel into the silver candy mixture. Repeat with all pretzel rods. 7. Allow pretzels to dry for 30-60 minutes before removing from wax paper. Store in an airtight bag or container in the refrigerator. 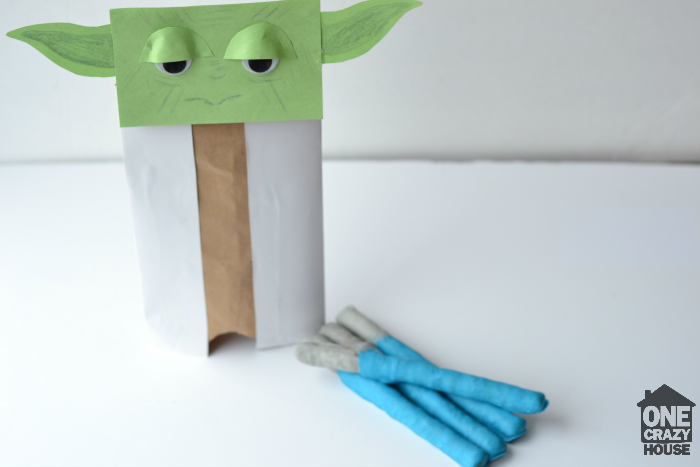 And just for fun, here are the lightsabers with the Yoda paper bag puppet I made on Glue Sticks and Gumdrops. He looks unimpressed, but that’s just Yoda. Tasty, they are.